Monday was the blogger event for Yours. 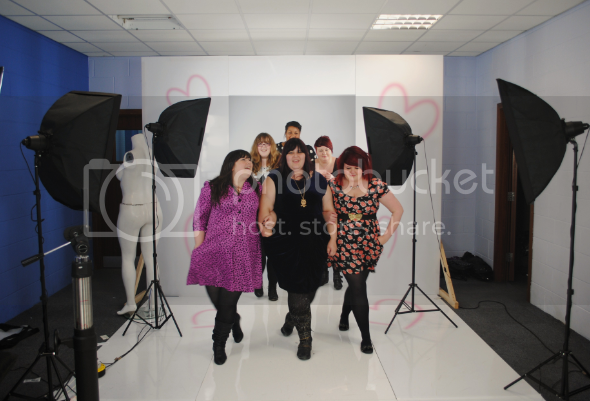 To be perfectly honest, I didn't know much about them previously as there aren't any Yours stores up North, but I was honoured to be asked to attend - especially as most of my favourite plus-sized bloggers were attending. Walking the catwalk, you can see on the website. The day was very informal, and it was interesting hearing about why we all started blogging as we all have different stories, different sizes and different styles. They took us for a tour of the headquarters in Peterborough (so I also got to meet up with my friend Adam who I haven't seen since graduation - you can see him in my last post, dressed as a dragon...) and showed us the new collection, even letting us try on whatever we wanted. We were like kids in a candy shop, sauntering around in faux fur coats, glittery shrugs and party gowns. Georgina took loads of lovely pictures and did a waaaay better write-up than me, so give her a clicky-clicky. So many, many thanks to Yours for a lovely day out. Lauren from Pocket Rocket Fashion. Steph (my fellow Northerner!) from Buttons, Bows and Brogues. Kat from Plus Size Beauty. I stayed over at Lauren's in Essex (innit!) and we had some girly chat, ate pizza and watched stupid YouTube videos (we're both addicted to memes). This one with James Franco parodying his own Gucci by Gucci commericial especially had me actually crying with laughter. I wish you could directly embed the video - boooooo! 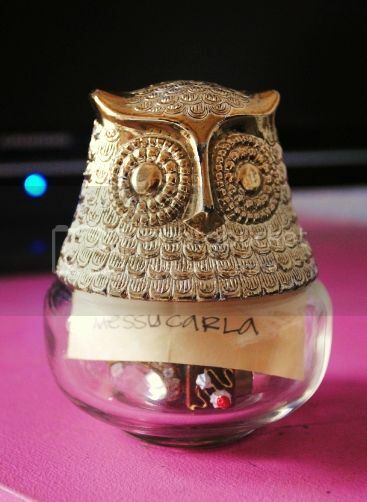 Finallement, to cure my post-London blues, I recieved my giveaway prize from The Nearsighted Owl, which is an uber-cute vintage trinket holder shaped like a owl. I'm going to keep my collection of rings in there, as I haven't had anywhere nice to keep them until now. Thank you so much for the lovely prize, Rachele! Be sure to check out her blog too, as I just love her style. i adore james franco. so so good! You are SUCH a diva! xD you're a knockout in that photo! Wow congrats! You guys all look wonderful and like your having sucha blast! You look gorgeous - and that owl is the cutest!